To make a profit farming East Tennessee’s hilly ground, it helps to have a different sort of plan. You probably will never be able to grow high-yielding grain crops like farmers on the prairies do. But turning a commodity into something special can help provide an edge even here. With land on busy U.S. Highway 411 at Greenback, Tennessee, Mitchell Hyde thought he could tap into the expanding local food movement near Knoxville with pork. Hyde also grows strawberries, blackberries, blueberries and a number of vegetable crops, but so do quite a few other farms in the area. 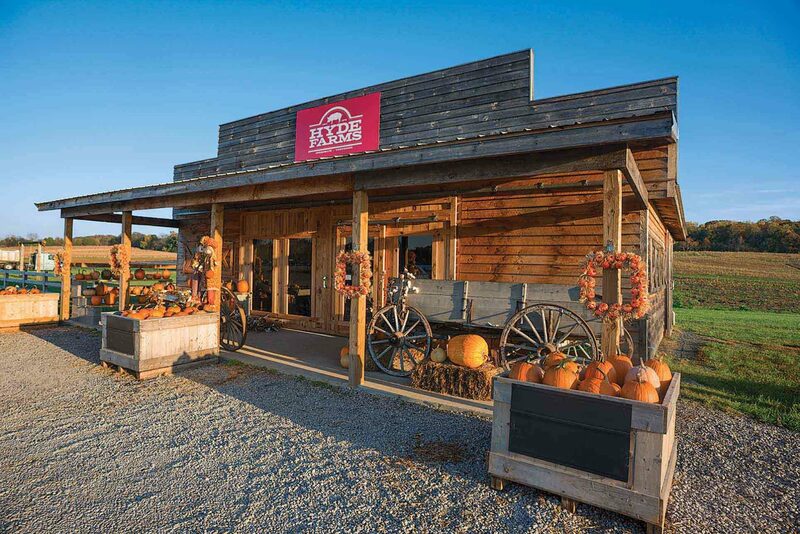 He wanted something to distinguish Hyde Farms as a destination. “Our big push is all natural pork, no antibiotics, no steroids, no hormones. I don’t bring in any hogs from outside the farm, so we can avoid disease problems. We raise our own corn. We do buy soybean meal. We only feed good quality grain,” he says. 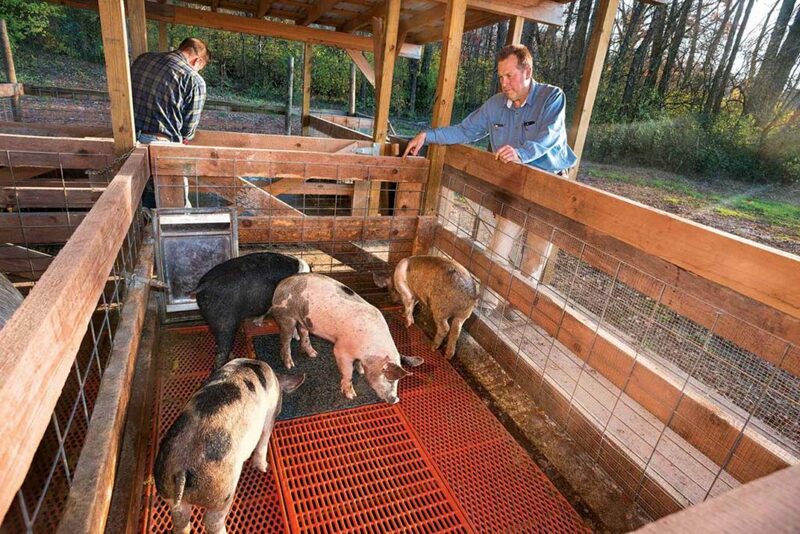 Mitchell Hyde checks on his antibiotic-free pigs; his animals are raised in pens on concrete, with plenty of air to help hog health. Although pasture-raised pork has its own niche market with foodies these days, Hyde’s hogs live in a feedlot located in an old dairy facility. After observing older family members’ medical problems due to being overweight, Hyde early on decided to focus on diet and health with his products. “Number one, we don’t want fat hogs. We’re going for leaner hogs. I’m pushing the healthy lifestyle side of the business. That’s what seems to be big with our customers,” Hyde says. He sells hams and other pork cuts, as well as veggies, in an on-farm store with an old-timey atmosphere located along the main road. After talking to others in the business, and doing quite a bit of research, he emphasizes the taste of his Hyde Farm hams. Hams ready to sell or slice hang in a back room at Hyde Farms’ on-farm store. Hyde uses both salt and ground sugar applied at regular intervals to cure the hams when they’re in the cooler. 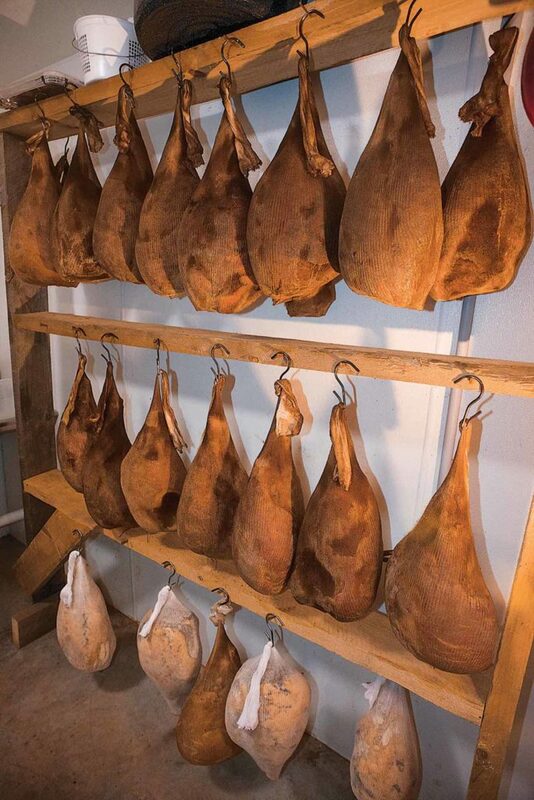 After nine months, the hams are placed in a smoker to finish out and provide a singular taste. for sale in the store and process hams every week. We’ve been doing this three years, so, really, we’re just starting out, when you consider how long it takes to cure hams,” he says. His farming effort began in 1978, at age 15. He grew up in Tellico Plains, roughly an hour’s drive south. He has also owned a construction company and is a utility contractor. One mile along the Columbia River connects America's heartland to the world.